Two of my favorite classical music events are starting up this month. First, in just one week, we are very excited to welcome the Silver Jubilee of Bach Dancing and Dynamite Society’s Chamber Music Festival. BDDS never disappoints and it’s sure to be spectacular for its 25th season. 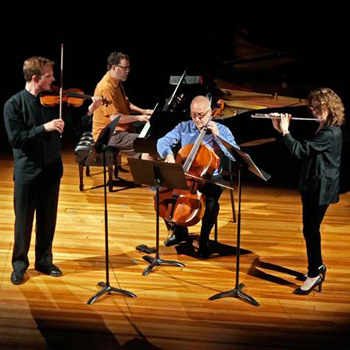 This chamber group’s festival runs three weekends in June starting on the 10th. 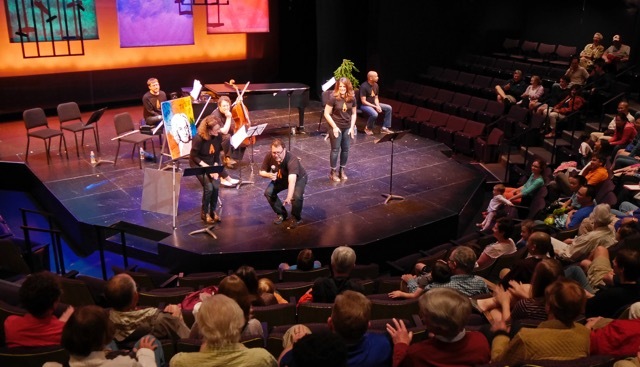 BDDS rotates its concerts through Madison’s Overture Center, the Stoughton Opera House, and Taliesin’s Hillside Theater in Spring Green – each a unique and beautiful venue. 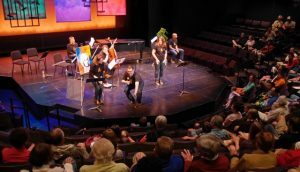 Artistic Directors Stephanie Jutt and Jeffrey Sykes are wonderfully talented musicians who bring together an outstanding group of artists from all over the world. Together they create exquisite music all the while having a lot of fun! 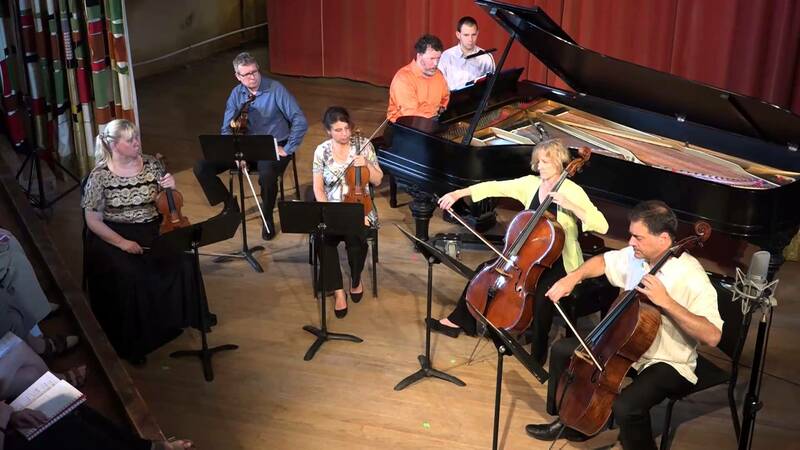 The week following Bach Dancing and Dynamite Society’s Silver Jubilee, the Wisconsin Chamber Orchestra begins Concerts on the Square on Wednesday, June 29, on the King Street corner of the Capitol Square. 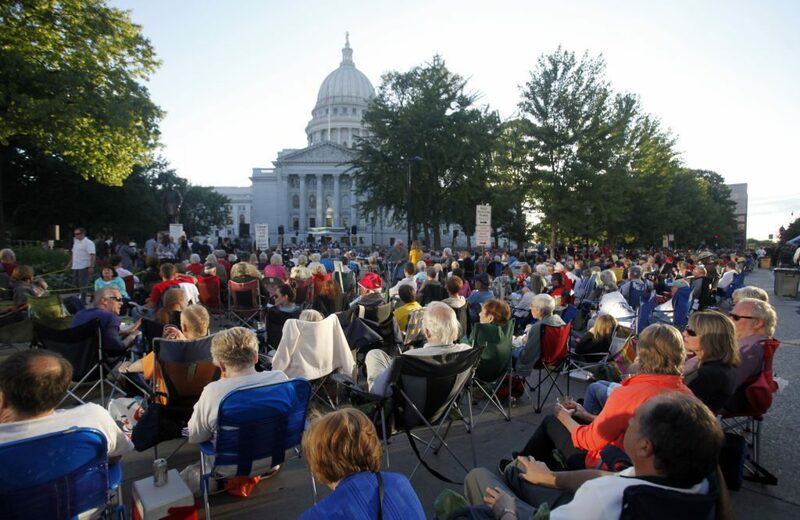 A rite of summer cherished by families, couples, friends, locals and visitors, Concerts on the Square features WCO musicians playing outdoors on one side of the beautiful Wisconsin State Capitol building. 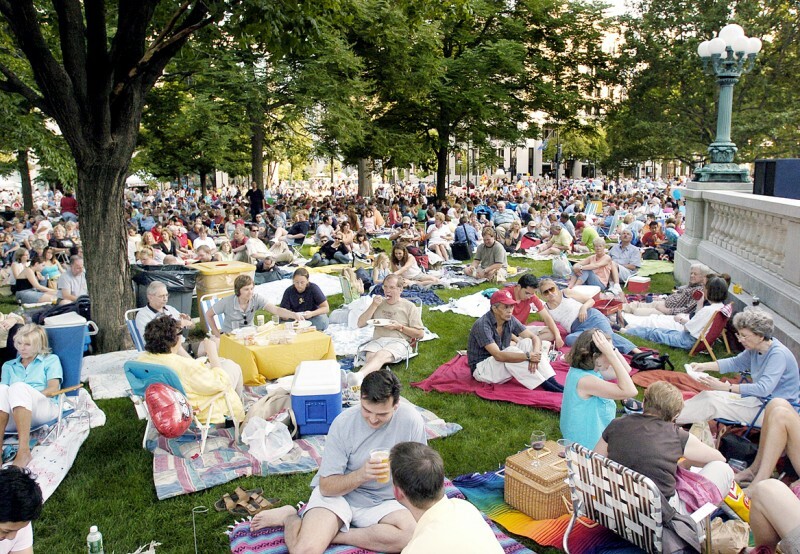 Patrons set their blankets around the Capitol lawn, bringing a picnic or purchasing dinner from vendors, and enjoy an evening of chamber music. It’s a perfect way to spend a summer evening in Madison. Concerts are every Wednesday with the final performance on August 3. • Remember the concert hall has become a refuge in our world driven by electronic devices. A classical music concert provides the ability to sit, become quiet, and simply listen. Enjoy that opportunity where you have no phone calls, emails or texts. BDDS intentionally selects very special and intimate venues that surround the listener with a smaller audience in a quiet, soothing place. 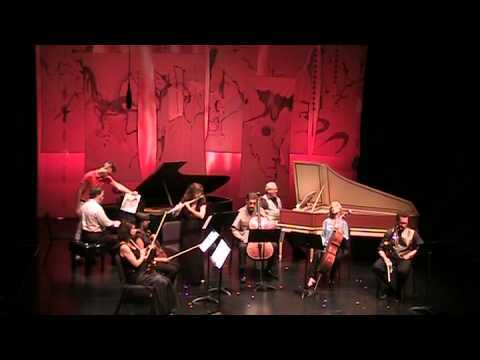 • Chamber music by design is particularly good at tapping into this quiet moment you create for yourself. Smaller than a symphonic orchestra, it’s more “human size” can move you on a very personal level. Chamber music can connect to your emotion at the moment and speaks to whether you are at your happiest or saddest. It’s as simple as sitting back, relaxing, and feeling what the music is telling you. That experience can be different each time you listen to a chamber orchestra, making it all the more inspiring. • BDDS is particularly good at engaging its audience and takes time throughout its music festival to talk to the concert-goers, helping them put the music into a context. Both Stephanie and Jeffrey have a wonderful sense of humor where they acknowledge everyone as an equal in the concert experience. None of what they do is fussy or stuck up – again, they make it very fun. So be sure to feel you’re among friends, even with the musicians coming from all over the world, as another way to relax and enjoy the music. They are glad you’re there. Summer is a great time to get out the house and your routine, often to discover new things. 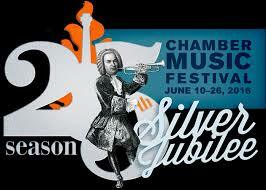 I highly suggest you put chamber music on your list for this summer in Madison and enjoy all it has to offer. If it’s a new experience for you, we hope it leads to lifelong love for a wonderful genre of music.